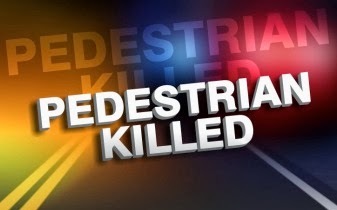 On January 20, 2014 at approximately 1:37 a.m. Galloway Township Police responded to the intersection of Route 9 and Lilly Lake Road in reference to a motor vehicle accident involving a pedestrian. The initial investigation by police indicates that Gloria Carmona, 52, of Little Egg Harbor, NJ was operating a 1996 Toyota Camry and traveling north bound on Route 9. As Carmona approached the intersection of Route 9 and Lilly Lake Road, she struck William Williams, 61, of Galloway, who was walking in the roadway. Williams was subsequently pronounced deceased at the scene of the accident. The accident is still under investigation. Anyone with information related to the accident is asked to contact Officer Kevin Costa 609-652-3705 ext.086.